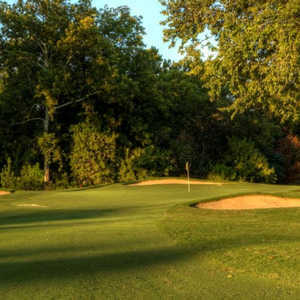 AUSTIN, Texas -- Grey Rock Golf Club was born in the 1991 golf boom days as Circle C Golf Club, set amid a forest of live oaks and cedars with a respected design team of Jay Morrish and Austin's Roy Bechtol. 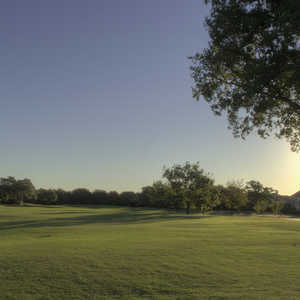 Austin's Grey Rock Golf Club is Hill Country rugged. 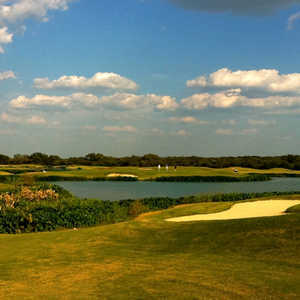 Golf Digest heralded it as a "Best Places to Play" (2004) and a Texas golf magazine rated it among the "Top Public Golf Courses in Texas" (2001). Other awards followed by most of the Texas publications. Located 15 minutes southwest of downtown Austin at the southern end of MoPac (Texas State Highway Loop 1), Circle C even had a world-famous neighbor minutes away -- Salt Lick BBQ in Driftwood. But the economic downturn eventually grabbed hold and Circle C was struggling like many others that came along with a housing community. Today, however, things are looking up. The economy is better and Grey Rock is definitely on the mend thanks to millions being spent. Two water wells have just been drilled to help get the conditioning back to superb. "We are also rebuilding all the bunkers," said Gregg Pate, general manager at Grey Rock. "The bunkers are getting new liners and will be filled with white sand from nearby Taylor, Texas." Every hole at Grey Rock Golf Club, a 6,909-yard, par-72 layout that has hosted a U.S. Open qualifier and the Texas Women's Amateur Championship, is lined with trees. There are also big doglegs and large, undulating TifDwarf Bermuda greens protected by mounds and bunkers. There's also an abundance of turkey and deer, and more than 40 species of birds reside in the course's wooded surroundings. "These are probably the most beautiful oaks I've ever seen," teaching professional Tina Bradley-Mayers said. "Even though there are hundreds of oaks here, don't be alarmed. The fairways have generous width. "The toughest hole on this course is no. 7, a par 5 that plays 542 yards from the back tees and 439 from the front tees. There are clusters of trees to contend with, but this is a great driving hole. Fairway bunkers are the main danger. If you get past the one on the right that's 100 yards long, you might end up in a slightly smaller one to the left. You'll also have to be cautious on your approach shot; the green has water behind it." The back nine is dominated with doglegs. "On no. 11, for example, a par 4 that plays 459 yards from the back tees, the fairway curves left off the tee," Bradley-Mayers said. "Some golfers may try to cut the corner to shave off the distance, but there are trees in the way. In addition, the green is actually a bit to the right at the end of the fairway." The par-3 13th (168 yards from the back tees and 103 from the front tees) is dangerous with a lake, but the par-15th, the second-toughest hole at Grey Rock, demands your attention. It is 591 yards from the tips, doglegs right going over rocks to safe landing. If you miss the correct landing area trees will block your approach. The closing hole is Bradley-Mayers' favorite on the golf course. "It's a great par 4, 386 yards from the back tees with a subtle dogleg right with a lake to the right," Bradley-Mayers said. "You can hit a straight shot off the tee or a subtle fade. Long hitters try to cut the corner. Steer clear of a right fairway bunker near the lake because everything slopes toward the water." What's not to like -- it's a Morrish-Bechtol design. They are two of my favorite people in the business, even with Morrish's retirement. There are 160 acres of pure fun and a friendly staff, but Pate has another idea why Grey Rock is a winner. "Our membership has a competitive spirit that just emulates through the club," Pate said. "The men's golf group meets every week and they enjoy the camaraderie from the seniors to the juniors. Our membership is in the 300s right now, but we are hoping for 400 to 450 sometime in the near future." Grey Rock is easily walked and the layout is fun and won't beat you up from the forward tees. Two other things to be proud of: The beautiful clubhouse and the Grey Rock Golf Academy with a top-notch practice area. Instructors are committed to analyzing each student's learning style, swing type and individualism to help you play your best. The Rock Grill and the Biergarten are the gathering places for visitors to Grey Rock. The Grill's interior features mesquite tables and chairs, a large fireplace, an attractive bar and several wide-screen televisions. Massive oak trees and a beautiful gable-covered flagstone pavilion shade the Biergarten's teak tables and chairs. Try the burger or the BBQ.